The small town of Bishopbriggs is host to a range of prominent businesses who are looking to take their company to that next level by ensuring that their premises are visually attractive to locals and passers-by. Having stunning floors, walls, counters, ceilings and other surfaces can all be made possible by the work of our skillful commercial fit-out experts. Allstar Joinery’s commercial shopfitting projects come recommended from a number of previous clients and examples are present in our extensive portfolio of positive and successful previous work. If you have recently bought a business premises in Bishopbriggs and are looking to take full advantage of your new space, Allstar Joinery are the perfect option for commercial fit-outs. We are extremely proud of our hardworking experts who have years of experience, knowledge and know-how in the commercial fit-out industry. Our experienced team know what is expected when conducting fit-out and refurbishments right from the start, from the research and planning stage right up until the project is complete. Unlike many ordinary commercial joiners, we do two things a little bit differently. First of all, we put our valued client’s needs as our primary focus – unlike larger companies who tend to follow the book. Secondly, we mould our services to work for you, this means that when the project is complete you’ll be 100% satisfied with the results. In the past, many commercial shopfitting projects have been carried out in Bishopbriggs by Allstar Joinery, both for start-ups or longer established businesses. Due to this experience of previous work in the area, our skilled team already have knowledge of what sort of builds are featured in Bishopbriggs. We don’t only have all the tools and resources required to carry out work in the area, our experience already tells us what it is you might be looking for in a commercial fit-out in Bishopbriggs. When choosing a joinery firm, make sure you select a company who are well-established for your commercial shopfitting needs as less established companies may make mistakes that end up costing you more time and money overall. Make sure that you get off to the best possible start with your new premises by getting Allstar Joinery’s experts on the case. We put high priority on the importance of direct communication between our team of experts and you, as our valued client. We will be with you every step of the way throughout the process, from start to finish. Before we start the fit-out process, we make sure we have a complete understanding of what you are looking for and expect from our team as our client. We also keep you up to date with all the progress our team makes during the project as it is evolving. One of the biggest benefits of having the Allstar Joinery team assist you in your shopfitting needs is due to how close-by we are located your local business. 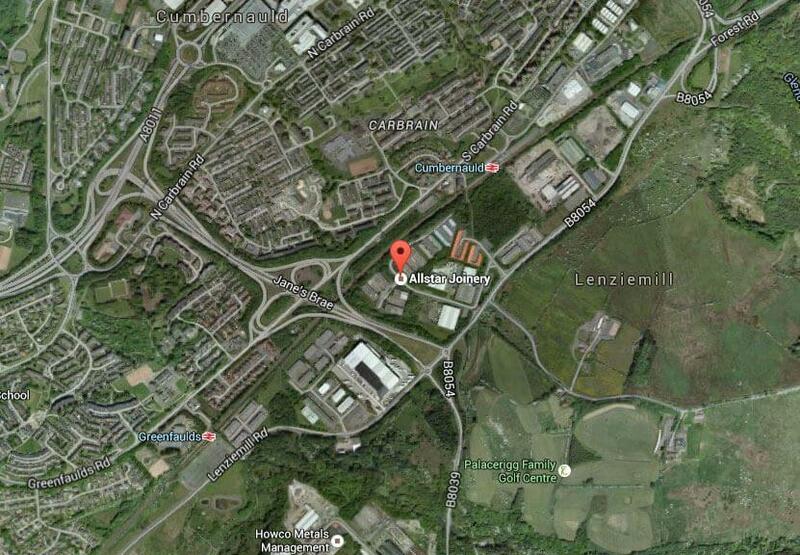 The Allstar Joinery headquarters is only around 21 minutes via the M8 motorway to Bishopbriggs. This is ideal for commercial clients in Bishopbriggs as we are always only a short drive away from starting your fit-out job. If you feel that the look of your business is important for attracting customers to come in and buy products or your services, you want your interiors constructed and developed by professionals with years of experience. Don’t hesitate to pick up the phone and have a chat with a member of our team at 0800 270 7779, or you could fill out our contact form and we’ll get back to you on your enquiry as soon as possible.